I know you have been looking for this book. 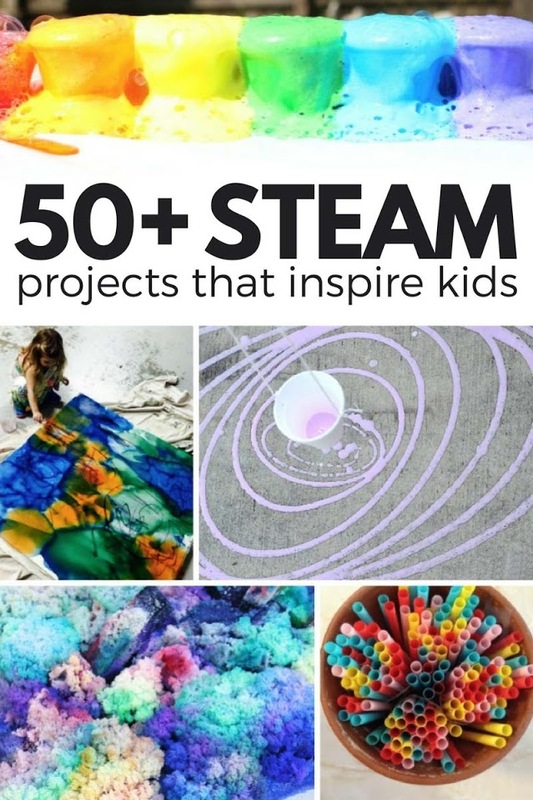 You probably already know that I love to do STEAM projects with my kids, in fact I consider cross disciplinary projects to be at the heart of raising and connecting with curious, creative kids.You can call them STEAM projects, or science arts, or cross- disciplinary, whatever you like, but the fact is projects that teach kids to make connections and problem-solve are the best way to educate creative thinkers. 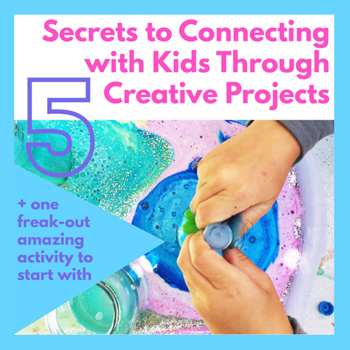 And wait for the bonus…these types of projects are tons of fun and a great way to spend some time with your kids playfully learning! I mean really, what kid can turn down the invitation to make a PVC slingshot? Or grow some mold? Or make their own stop-motion animation film? 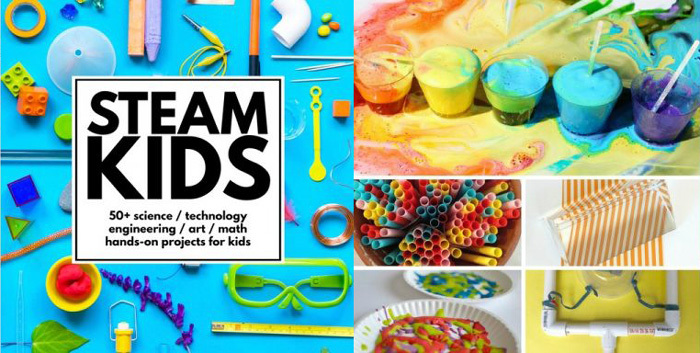 STEAM Kids is a fantastic resource for parents and educators for STEAM project ideas ranging from easy breezy (think sticker math art) to more involved (circuit bugs anyone?) 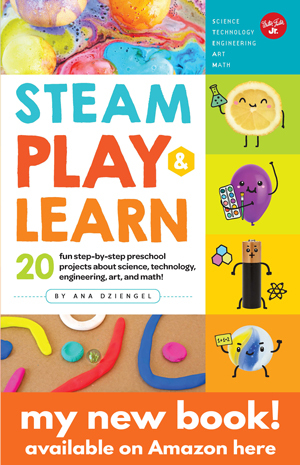 for kids ages 4-10 (or frankly kids 4-99). 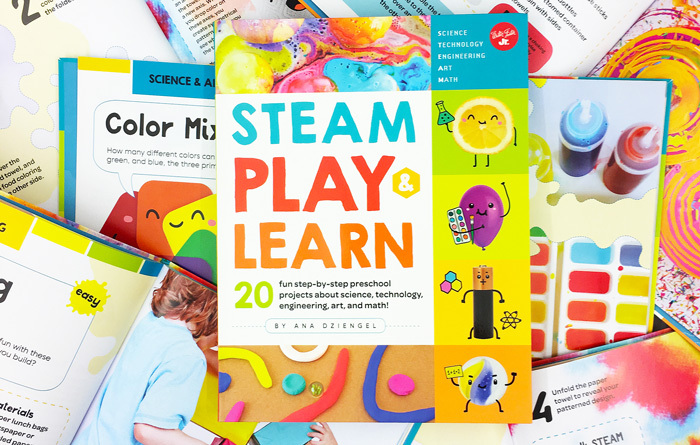 Psst…the book is already a #1 Hot New Release on Amazon in Children’s Science Experiment Books! How cool is that? 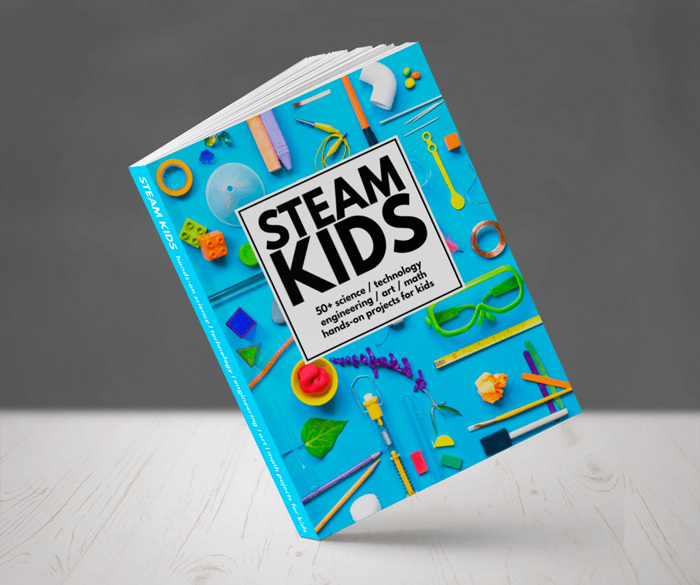 STEAM KIDS is also available in print form via Amazon for those of you who love a good old fashioned book that you can peruse, dog ear, and take notes in… I consider myself in this camp. Alrighty, I’m gonna leave it at that. 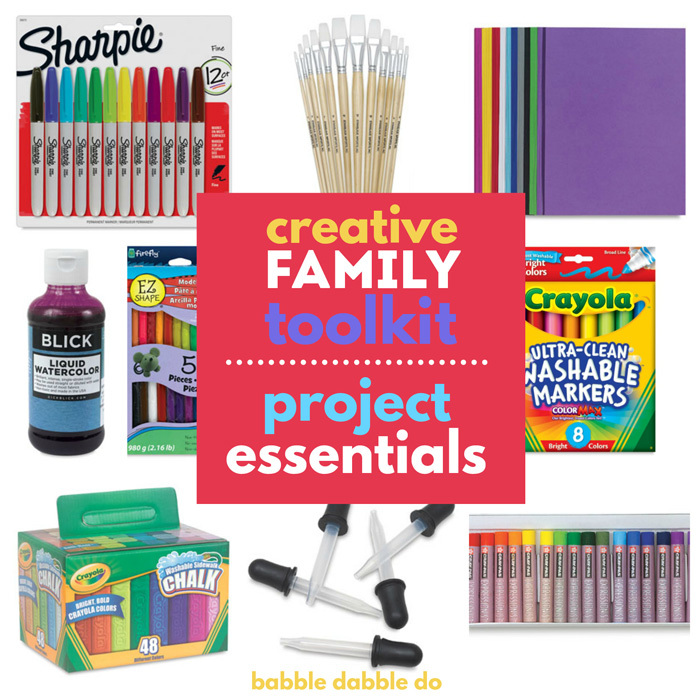 This is a great resource. Period. 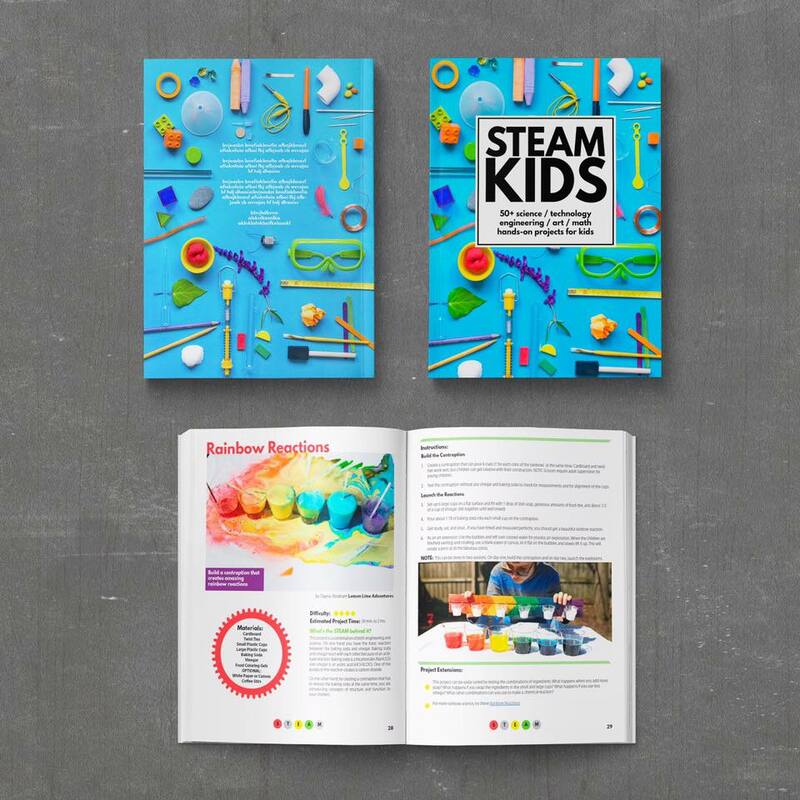 You should consider adding STEAM Kids to your creative bookshelf, actually no, wait, don’t put it on the bookshelf…you should have it handy, covered in paint, water stained, dog eared and droopy right on top of your creative table. 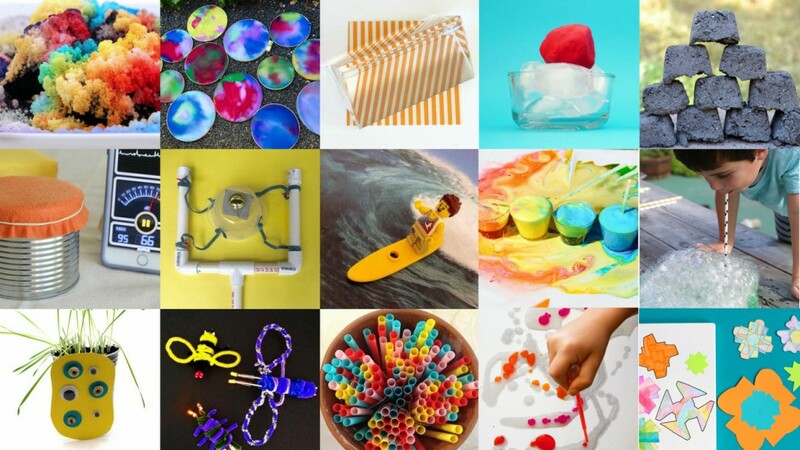 You and your kids will be having a lot of fun with it! I guarantee! I teach 3/4 year old preschoolers. How many of the projects could be done with this age group? Hi Amber, I would say it’s more suitable for kids ages 4 and up but a number of activities are adaptable to younger kids. I’m not sure if that helps! 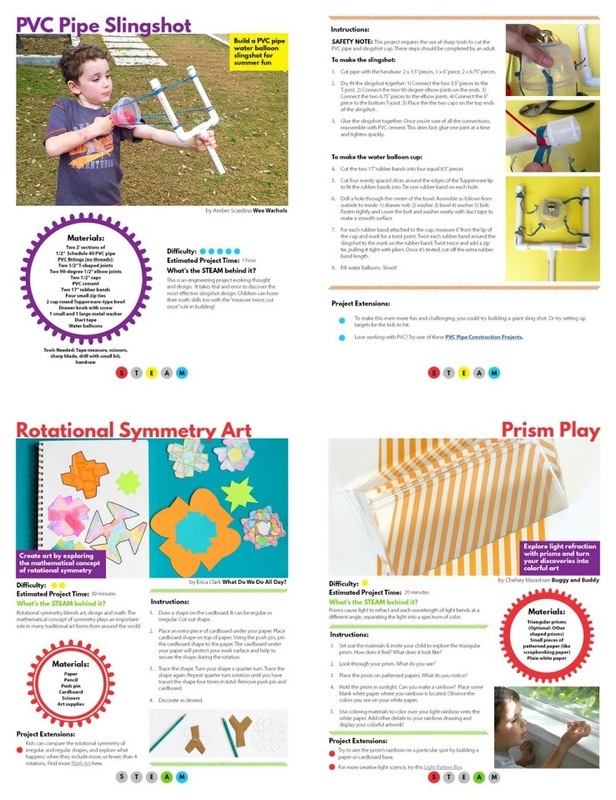 I downloaded a copy & am anticipating that we will have all sorts of great learning fun using this guide! Thank you for putting this together! Kathy I am so happy to hear it!! THANK YOU!!! Hi Ana- I went to order this for $9.99 and was then offered the halloween book also for free. Then I was charged on paypal for $14.99. Can you help? Thanks! The price was changed at yesterday when the sale ended and I think there was a short period of time when the website still reflected the $9.99 price. Since you purchased during that time we can get your $5 refund. I’m forwarding your information to a teammate who can help. Thank you for your support of our project! I just wanted to ask if this book would also be recommended for a 10 year old girl to explore on her own? She is super clever and very hands on:) I want to get her the book as a gift and was wandering if it would suit? I’m so sorry it has taken me forever to get back to you! I have been out of town a lot recently 🙁 The book would definitely be appropriate for a 10 year who is self motivated. I hope she likes it! 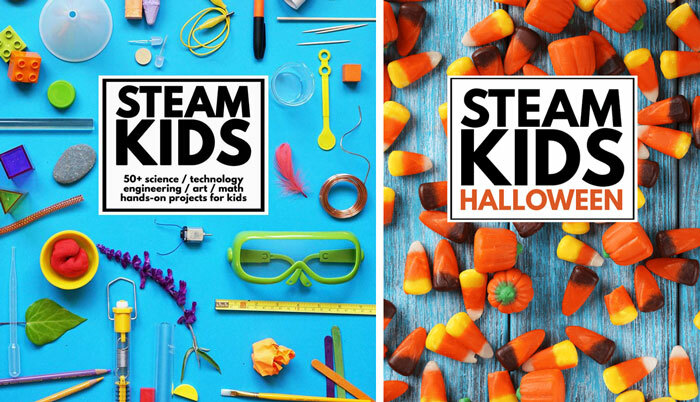 Hi – I just purchased your STEAM book which is amazing, but I was wondering if the Halloween book should have been included? I just thought I would check as it’s in the picture, and I was really hoping to get a copy of it to use with my students over the next few weeks. If you could please let me know, or let me know if it can be purchased, I would really appreciate it. Hi Loren- sending you an email now. because it says for EU and UK? I ordered this Ebook yesterday but have not received a link yet.